BendPak’s PLT-6S parking lift was designed for both commercial and residential use and is the perfect car parking solution when ceiling clearances are limited and vehicle heights are restricted. Each PLT-6S parking lift features dual hydraulic lifting cylinders a high-strength safety lock system. SPECIAL ORDER ONLY | There is currently a 90 -120 day lead time for this product. There’s no point in designing a parking lift that’s too big to fit in most garages. 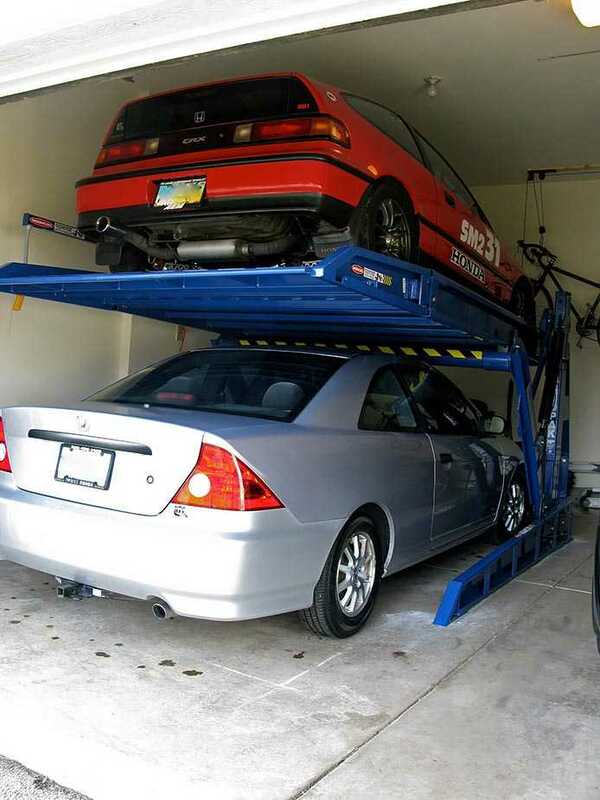 Even garage spaces with low ceilings can accommodate the PLT-6S, and in fact, many people turn to us because they want the same quality and service record BendPak offers on our other car lifts. After all, we have a reputation and we’re not afraid to use it. Forget the chain-over lift. Forget the cables and cable sheaves. While many of our lifts feature these systems, and they’re incredibly safe the way we’ve designed them, it’s sometimes nice to let the hydraulics do all the work. An integrated flow divider prevents the cylinders from ever collapsing: in a worst-case scenario (i.e., hose rupture), the fluid will slowly leak out of the cylinder(s) and the lift will gradually descend to the ground. However, this can’t happen once the lift is locked in place, so you and your vehicles—top and bottom—are completely safe at all times with this parking lift. Multiple lock points let you decide how high to park your lift. Your vehicles are equally safe at any point of engagement, and the locks release when the lift is lowered. Hydraulic pressure controls the platform and ensures a balanced descent. The base support on the PLT-6S is just enough to keep the lift stable without adding steel that clogs up your floor space. The parking lift is over-engineered to easily handle the rated 6,000-lb. lift capacity, and the two-post structure never wobbles or shakes during operation. A cantilevered torsion bar extends off the lift and contains the push-button UP and DOWN control. This ergonomically designed control is easy to reach and adjustable to multiple heights. Note: Not all BendPak lift models meet the standards as prescribed by ANSI/ALI ALCTV-2017 or ANSI/UL 201.  Consult www.autolift.org for a complete list. "Just got the PLT-6S parking lift up and running. One word - Awesome! Attached is a picture from my garage. Thank you."